confluence, a photo by totemtoeren on Flickr. My name is Elza and I design websites since 1996. 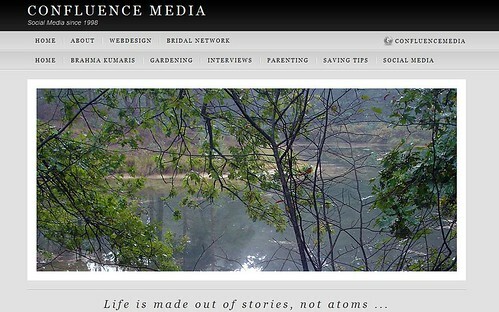 I started as a webmaster and established Confluence Media in 1998. Back then, online media was called Multi Media. I figured that name would’t last long so I picked a more lasting name for putting in to words what media combines: Confluence. Ever since various names went by. From Multi Media to Online Community to Social Media. In 2006 I gave birth to a beautifull son: Philemon. In 2008 his little sister Pauline jumped (literally) into the world. I paused my desktop work for 4 years to find a whole new internet in 2011. March 2011 is my restart on the web. I am so happy that I don’t have to build complete websites from scratch. I am so happy that everything is connecting. 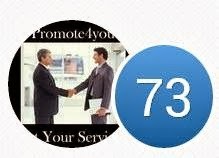 I am happy for tools like Facebook and Twitter to do the work for me. At the end I think all this online media has only one purpose. That purpose will be revealed soon.